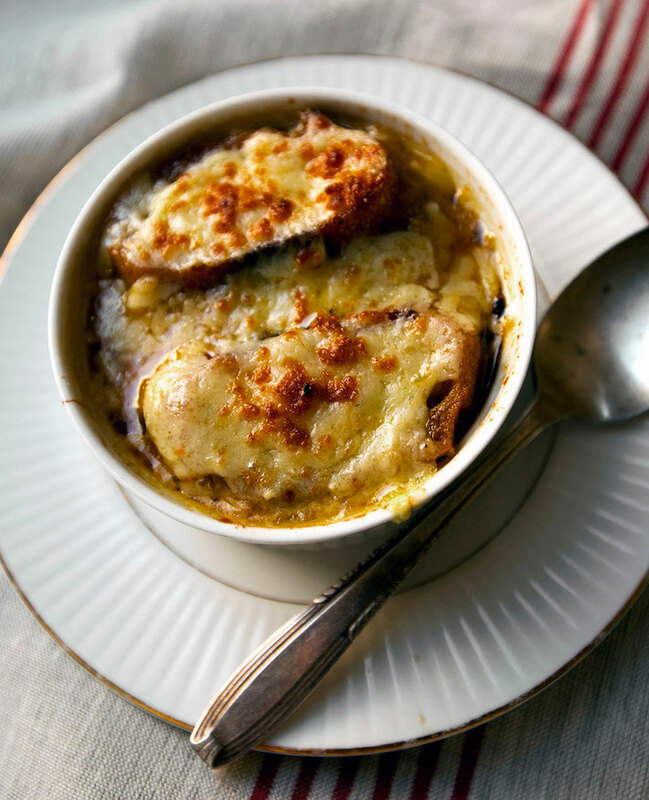 Braised onions, bread, and melted cheese are the main components of this timeless dish, which epitomizes the robust cuisine of Parisian brasseries . . .